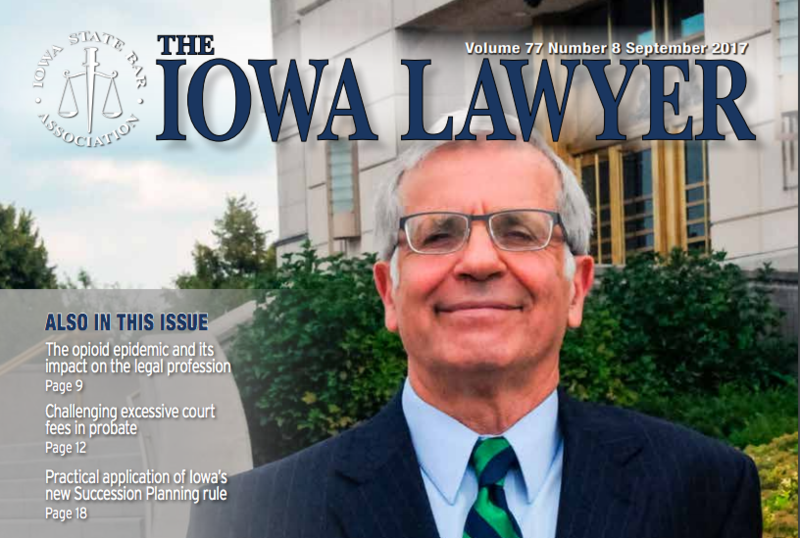 The September edition of “The Iowa Lawyer” is now out! 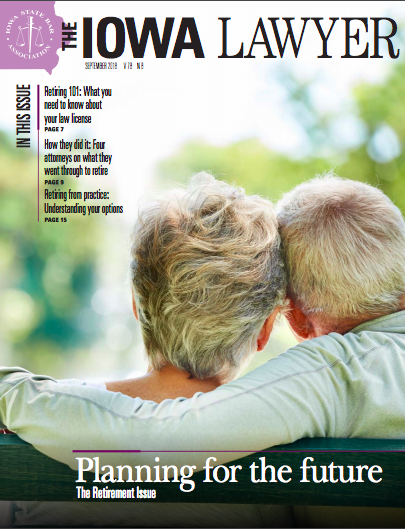 Published by the Iowa State Bar Association, this month focused entirely on retirement-related topics. According to the ISBA, there are approximately 2,300 ISBA members who are 60 and older. And, in Iowa in general, people age 65 or older comprise 16.7% of the population. Retiring is a whole different stage in life that can come with newfound challenges as well as benefits. While geared toward Iowa attorneys, many of the insights are applicable in other industries. For instance, succession planning is important for all business owners! Similarly, retirement is a time when charitable giving often gets a boost. You can read the full article by clicking here and scrolling to page 23. Any questions after reading? Feel to explore more on the topic in our other blog posts on the subject or contact GFLF at any time to discuss by email, at gordon@gordonfischerlawfirm.com, or by phone at 515-371-6077. 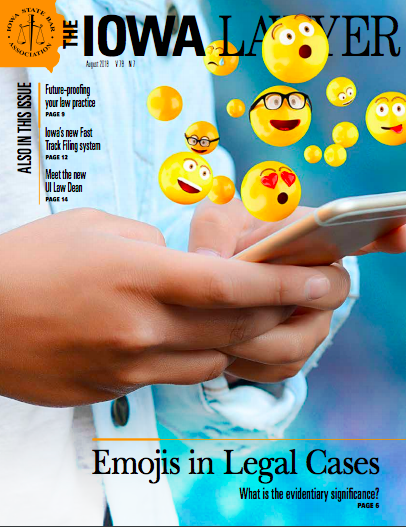 The August 2018 issue of the Iowa State Bar Association’s The Iowa Lawyer magazine was recently published. This edition includes GFLF’s piece on how irrevocable life insurance trusts (ILITs for short) can be a valuable estate planning tool. While the magazine is an industry publication for lawyers, this information is also incredible useful for anyone with life insurance as an asset. I regularly help and encourage my clients to complete business succession planning. So, I was immensely interested in fully understanding and helping to explain the Iowa Court Rule 39.18 which mandates some aspects of practice succession planning for active Iowa lawyers. I wrote extensively on the subject in a four-part series for The Iowa Lawyer (you can find links to all the articles here). 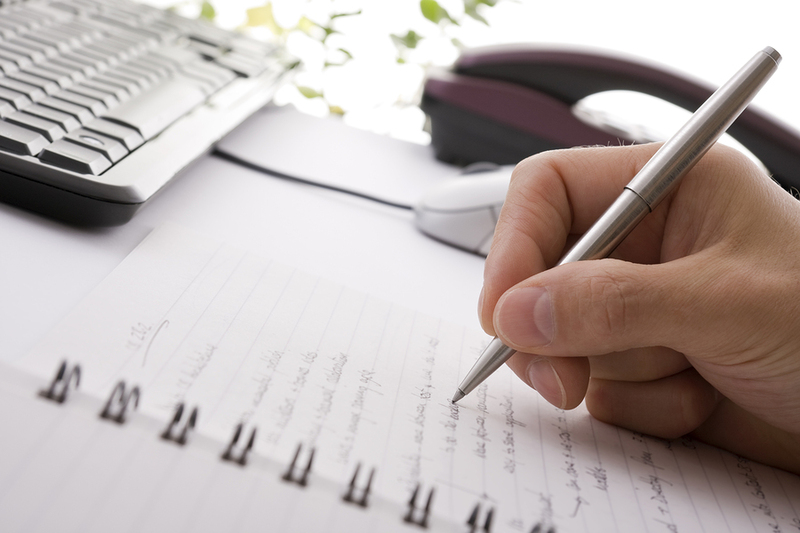 But, with the deadline for compliance fast approaching, it is useful to have just the basic. The ISBA recently published my rundown of nothing but the essentials in The Iowa Lawyer Weekly, and for convenience I’m publishing it here as well. This short article directly informs every Iowa private practitioner precisely what s/he needs to know about new Iowa Court Rule 39.18. Under the Iowa Court Rule 39.18, Iowa-licensed lawyers must take steps to prepare for their own disability or death. New questions that are related to Rule 39.18 compliance will be included on the Iowa Client Security Commission 2018 Client Security Reports to be filed via the Iowa Office of Professional Regulation between Dec. 26, 2018 and March 10, 2018 without penalty. Iowa Court Rule 39.18 is divided into two tiers; the first tier is mandatory; the second tier is optional. The second, optional tier is very helpful, and I’d urge every Iowa layer to seriously look at implementing it. Considering that I write this in mid-December, however, it may be wise for Iowa lawyers to make certain they are in full compliance with the mandatory provisions, and give the optional provisions more full and careful consideration in 2018. Since this article is about just the basics, I’m just going to discuss only the mandatory provisions of Iowa Court Rule 39.18. A “qualified attorney-servicing association” is a bar association, all or part of whose members are admitted to practice law in the state of Iowa; a company authorized to sell attorneys professional liability insurance in Iowa; or an Iowa bank with trust powers issued by the Iowa Division of Banking. (Important note: Earlier this month The Iowa State Bar Association Board of Governors authorized The ISBA to serve as a qualified attorney servicing association.) Again, the term “custodian” in not defined. The custodian can be anyone – a fellow lawyer, friend, spouse, administrative assistant, whomever. Additionally, every Iowa attorney in private practice is responsible for the following: (1) maintaining a current list of active clients in a location accessible by the designee; (2) identifying the custodian to the designee; and (3) identifying the locations of the client list, electronic and paper files, records, passwords, and any other security protocols required to access the electronic files and records for the custodian and, ultimately, for the designee. Iowa Court Rule 39.18 kicks into action only in two extreme circumstances: your death or your disability (a disability so severe you can no longer practice law, whether temporarily or permanently). Upon your death or disability, your designee is given broad authority, including the right to review client files (whether paper or electronic or both), notify each client of your death or disability, serve as a successor signatory for any client trust accounts, prepare final trust accountings for clients, make trust account disbursements, properly dispose of inactive files, and arrange for storage of files and trust account records. Also, the designee is authorized to access passwords and other security protocols required to access electronic files and records. Finally, as a “catch all” provision, the designee may determine whether there is need for other immediate action to protect the interests of clients. If you would like to read deeper beyond these basics, click to the September through December 2017 issues of The Iowa Lawyer from the online archives to read our four-part series. In the series, all the elements (mandatory and supplementary) of Iowa Court Rule 39.18 are reviewed and explained in detail. There is also a list of additional resources that can be found here. If you’re an active lawyer in Iowa help your fellow counselors out and share this piece with them so they will be prepared not only for the Iowa Client Security Commission 2018 Client Security Reports, but in the off chance of unexpected death or a disability. If you have any questions as you set your plans in place contact me by email or phone (515-371-6077). This article is the third in a series of four for the Iowa State Bar Association publication. 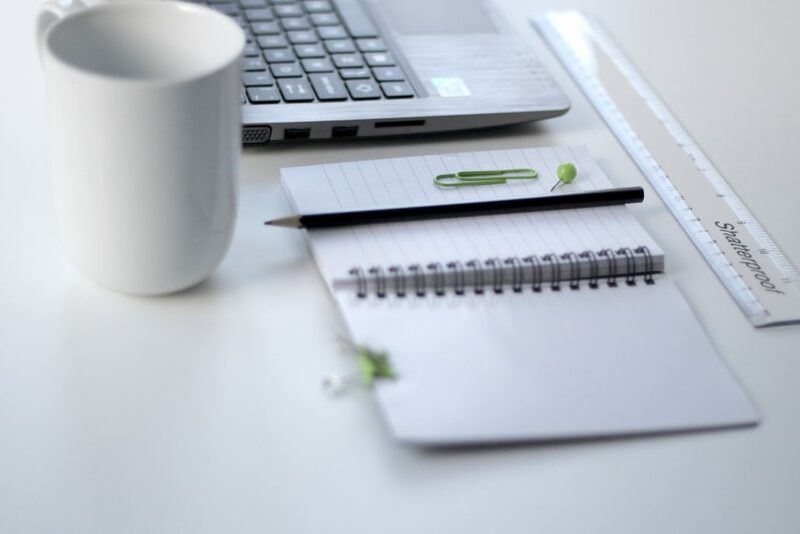 You can find info on the first article, here and the second, on the eight simple steps for a successful business succession, here. Questions? Comments? Feel the urge to get started on your much needed business succession plan? Feel free to contact me any time to discuss. I offer a one-hour free consultation, without any obligation. I can be reached any time at my email, gordon@gordonfischerlawfirm.com, or by phone at 515-371-6077. I’m excited to present an upcoming Expert Edge Seminar hosted by the Iowa City Area Chamber of Commerce. The presentation topic, Succession Success: Business Planning in Six Simple Steps, is super important and relevant for entrepreneurs and business owners. Why? Because taking calculated risks in business is often smart, but taking risks with the future of your business is a gamble you don’t want to chance. Business owners should certainly have a personal estate plan, but also a business succession plan as well. How can your small business support your favorite charities and your retirement simultaneously? Take some time out of your work day to invest in your future; I would love to see you at the presentation on Wednesday September 13, 11:30 a.m.-1 p.m. The cost includes lunch and is $15 for members and $25 for non-members. The location will be at the beautiful BioVentures Center, 2500 Crosspark Road, Coralville. Definitely save your spot for what should be an informative, interesting, and even fun lunch hour. Click here to register on the Iowa City Chamber of Commerce website. The September issue of The Iowa Lawyer magazine is out, including my piece on the practical application of Iowa’s new succession planning rule for lawyers and law firms. The article is part of a series of four that will run in subsequent issues. 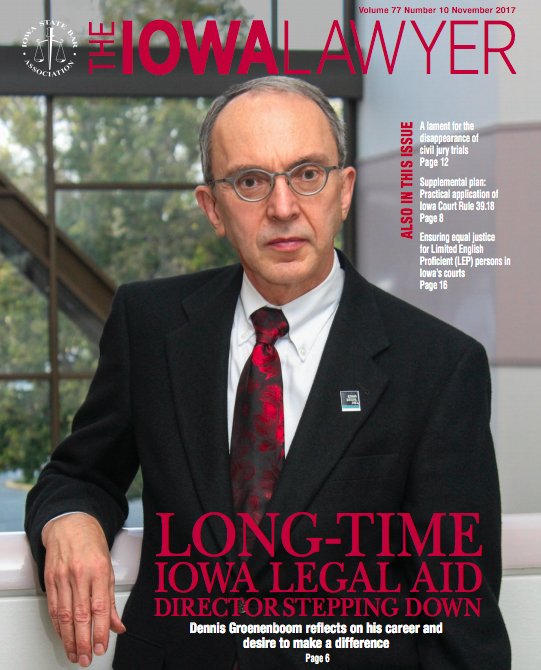 This month’s ISBA publication also includes features on: State Court Administrator David Boyd, who is retiring after 40 years with the Iowa Judicial Branch; the opioid epidemic in the legal profession; challenging excessive court fees in probate; and, tips for pre-mediation planning. 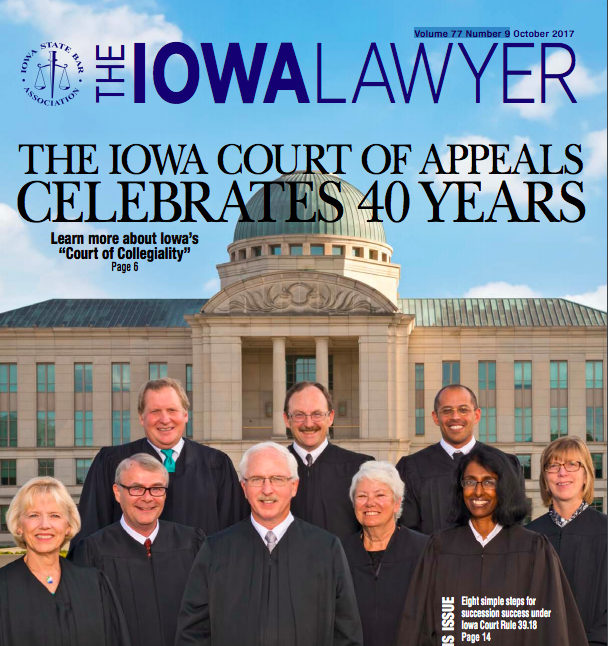 The Iowa Lawyer is the Iowa State Bar Association’s official publication. The magazine features information on legal developments, legislative news, Bar history, “views from the bench,” profiles of legal community leaders, and ISBA events. If you would like to read my article, click here and scroll to page 18. I would love to hear your thoughts and feedback on the piece either in the comments below, or via email at gordon@gordonfischerlawfirm.com. 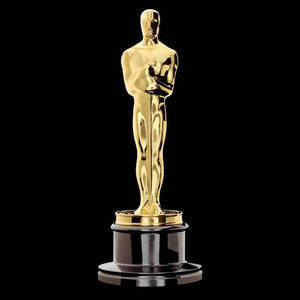 What could the Oscars possibly have to do with the estate planning? Actually, a lot. The most celebrated films – the Best Picture Award nominees – all feature themes of death and legacy. Certainly, in some films, this theme is more pronounced than in others. But in all the films, death and legacy are present, almost as if unseen actors just offstage. In Fences, an ex-ballplayer openly mocks death, wryly declaring more than once, and always with a wink, “Death ain’t nothing but a fastball on the outside corner.” Later, confronted with a sudden tragedy, he throws open a window and shouts into a storm, daring death to take him on. In Manchester by the Sea, the tragedy of premature deaths washes over the entire story. Like waves relentlessly pounding the beach during a storm, the characters cannot escape memories of tragic loss. Hacksaw Ridge is of course about death in war. The protagonist struggles, with tremendous courage, to save lives during the horrific carnage of battle. Arrival actually features a “canary in a coal mine.” In movie’s dénouement, the characters are given a whole new way of looking at life and death, at past and present. We shouldn’t be the least bit surprised by any of this, of course. Great art so often wrestles with the meaning of death and legacy. Think about Homer’s The Iliad and The Odyssey, to Shakespeare’s plays, all the way to recent novels like Marilynne Robinson’s Lila and Anne Tyler’s A Spool of Blue Thread. In movies, characters so often face the riddles of death and legacy, because we do so in real life. How to give life meaning? How best to leave a legacy? Allow me to suggest that one very practical, and even relatively easy, way to secure your legacy is through estate planning. For all of us, at some point, the credits will roll and the screen will go dark. Before that time comes, diligently plan so that your loved ones are protected and taken care of. Perhaps most importantly for the question of legacy, through estate planning we can leave meaningful charitable gifts to our favorite charities. Without estate planning, it’s just not possible to make charitable gifts at death. Do estate planning, do it right, so your testamentary gifts can help nonprofits for decades to come – quite a legacy for you. One might even say, proper estate planning, with a charitable component, is deserving of an award. Now, pass the popcorn, and enjoy the show. Tomorrow, take some time to get started on your own legacy, by downloading my Estate Planning Questionnaire. I spoke to Rotary in Iowa City today. I had 3 minutes. Here’s what I said. Everyone here has done very well in schooling me that I only have three minutes. Luckily, my life can, more or less, be summed up in just one minute. I’m proud to be an Iowa Hawkeye. I’m even prouder to be an Iowa lawyer. I’ve been one for more than 20 years. I’m most proud of my wife, Monica. We’ll soon celebrate 26 years of marriage. I have my own law practice, (unimaginatively named) Gordon Fischer Law Firm. The mission of my law firm is to promote and maximize charitable giving in Iowa. I do estate planning, wills, trusts, from basic and simple to exceedingly complex. I also help nonprofits, including several in this room, with a wide variety of legal services. I enjoy movies and music and reading. I’m always looking for new recommendations for books and films. One minute down. What to say in my two remaining minutes? Rather than talk more about me, I’d much rather talk about you. We are all aware the Rotary Foundation does tremendous good in the world. And we are all also well aware the more resources the Rotary Foundation has, the more good the Foundation can do. So, how to increase giving to Rotary Foundation? Let me suggest two ways. First, we can all think about including Rotary Foundation in our estate planning – in our wills and trusts. If we all left bequests to Rotary Foundation, and the other causes we hold in our hearts, think about the enormous positive difference we would make. Second, we can all consider charitable gifts, during lifetime, of noncash assets. For example, you could gift stocks or bonds or mutual funds. Or, you could gift real estate. You could make a gift from your IRA or 401k or other retirement plan. Sometimes when you consider all your assets, including noncash assets, and your estate plan, it allows you to be a bit more generous. Or even a lot more generous! How to get more Iowans to consider charitable giving, both through their estate plan, and during lifetime with noncash assets? Obviously, a topic for when we have much, much more time. But I’m really interested in starting a dialogue on these subjects. And I’d suggest a good first step — I’m doing a workshop on the topics of estate planning and charitable giving, there are flyers at your tables. Monday, April 25, from 2:00 to 3:30. I promise the workshop will be interesting and informative and well worth your time. In conclusion, it’s a great honor to be a Rotarian. Thank you all for your time and attention. https://www.gordonfischerlawfirm.com/wp-content/uploads/2017/05/GFLF-logo-300x141.png 0 0 admin https://www.gordonfischerlawfirm.com/wp-content/uploads/2017/05/GFLF-logo-300x141.png admin2016-04-21 13:41:182016-04-21 13:41:18I spoke to Rotary in Iowa City today. I had 3 minutes. Here's what I said. A seminar presented by Gordon Fischer Law Firm, P.C. When: Monday, January 25, 2016 from 2:00 p.m. – 3:30 p.m.
Gordon Fischer is an Iowa lawyer with more than 20 years experience. The mission of his law firm is to promote and maximize charitable giving in Iowa. Reach out any time — email is gordon@gordonfischerlawfirm.com and phone is 515-371-6077.